Do your guests hunger for the good things in life? Throw them a bone with this blingy pre-event publicity. 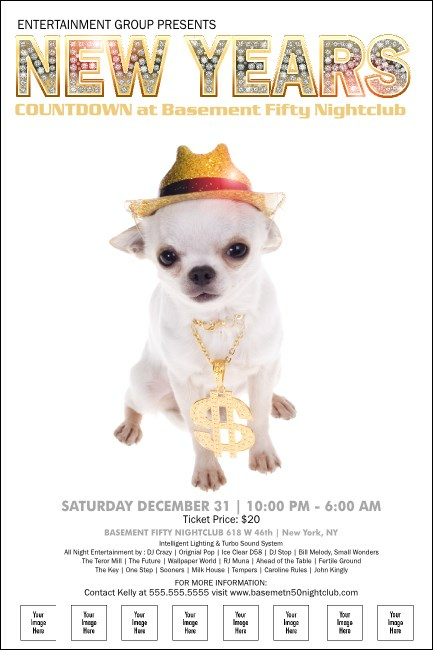 The Diamond Dog Poster features a cute and cuddly Chihuahua who's ready to party all night long. Upload eight sponsor logos, band images, or other custom thumbnails right to the ticket template. TicketPrinting.com: always adorable, always affordable.